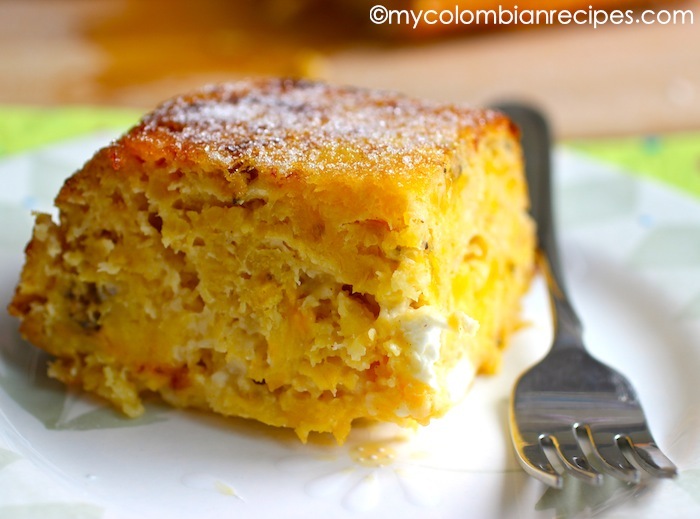 There are so many traditional Colombian dishes using plantains that I could write a cookbook containing only plantain recipes! 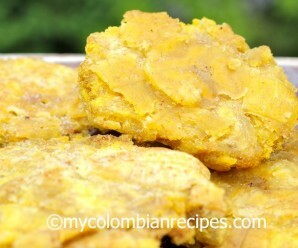 Fried ripe plantains (tajadas de maduro) are the most popular way to cook ripe plantains in Latin America, but if you like ripe plantains and want a dish that would show them off in a different way, this Torta de Plátano Maduro is perfect. For this recipe the plantains should be very ripe, which usually means the skin should be almost black. 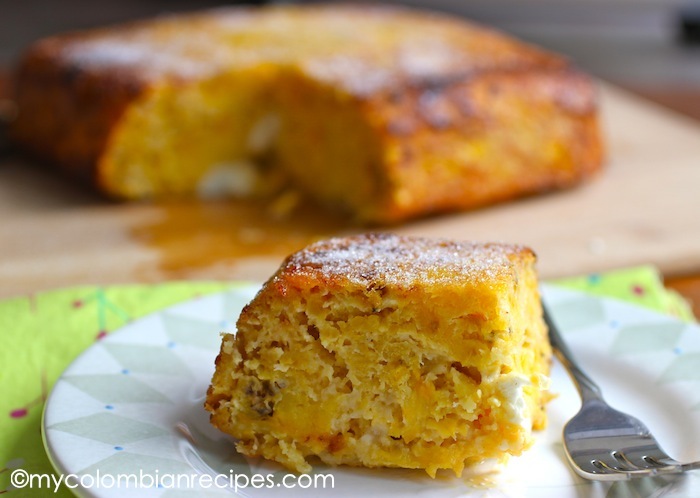 This Torta de Maduro is a savory baked Ripe Plantain and Cheese Cake or casserole dish from El Valle department of Colombia. It can be served as a side dish, appetizer, or snack, but I also love to make it for breakfast or brunch. Pour mixture into a greased baking pan and bake for 50 minutes. 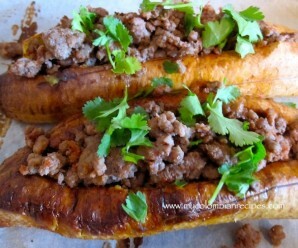 Now this is a creative use with plantains….Totally cool! What size cake pan. I am plannning an 8″ x 8″…large enough? What topping (if any) do you recommend when serving? I like to eat it plain or with guava sauce. Plantains in my favourite cheesecake…absolutely love the idea. That looks delicious! 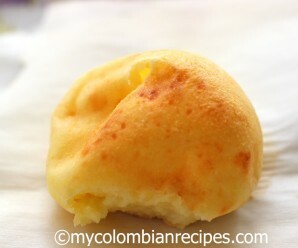 And guess who has five maduros on the counter waiting for inspiration like this? 🙂 Thanks! 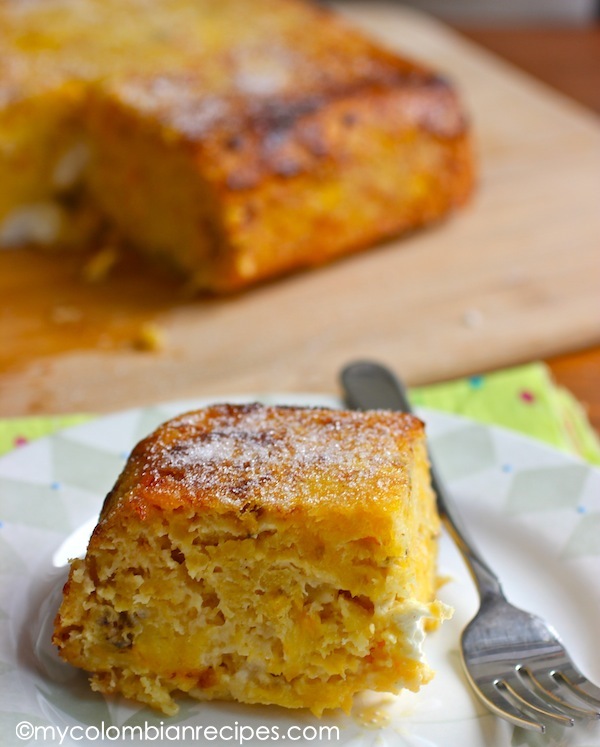 I have never seen a plantain cake before and love the fact that it is savory. Looks really great. Great for lunch, brunch or light dinner. It’s a lovely recipe! I can’t wait to make it. Thanks a lot for all your wonderful work here. what a unique cake–the texture and taste must be absolutely one of a kind! 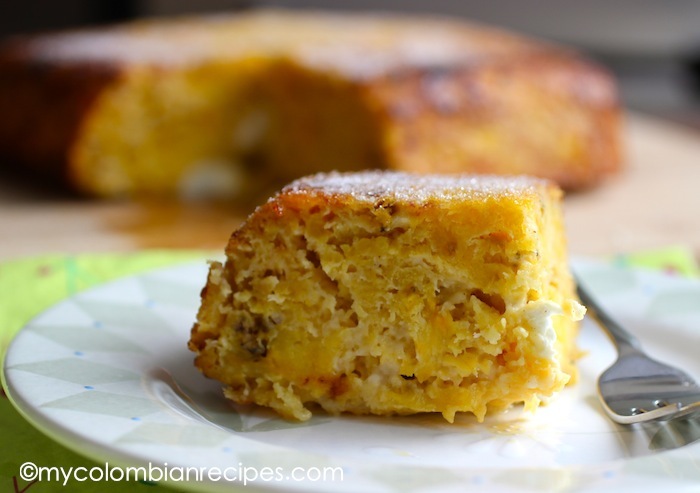 I have never seen plantains used in cake before but I love the idea!! There appears to be no flour or other starch in the recipe. Is that correct? I’m nuts about fried plantains, but had a bad experience years ago when I bought some that were not quite ready to be eaten. This cake is just too easy. I cannot wait to try it. Thanks for the tip on how to choose the perfect plantain! Is this something that can be used for dessert also? Wow We just made this tonight…..its good.We are from Canada and my daughter was given a small bottle of maple syrup from her boyfriend.We sprinkled a little bit on the cake…it was a new dimention of food…youcan doa lot with this!!! Thank you for replying, Erica! Yes, I saw that recipe, but I prefer less sweet desserts sometimes, and I just wondered if this would work for that. Erica, can I use cream cheese instead of mozzarella? I prefer to use mozzarella or other melting cheese. 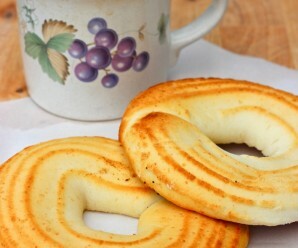 Cream cheese is very soft and the texture is going to be different.But, you can try it!I would love to know the result. Can I use sharp cheddar in place of mozzarella ? I just took mines from out side the oven to cool off. Can’t wait to taste it. Would a combination of apples and bananas, or just apples, work in place of the plantains? It will be a different cake. You can try it, but the texture and flavor is going to be different. Thanks for the ingenious recipe. What’s the temperature for the oven? This turned out great! A perfect savory plate for the breakfast table, along with a hint of sweetness 🙂 can’t wait to have the leftovers later! What can I use as a substitute for baking powder? I made this without the salt by accident, and it still turned out delicious. Also how do I prevent the sides of the cake from caramelizing? Or does it do that anyway? I used a glass baking pan that I put cooking spray into. Colombia is a beautiful country . The Caribbean coast, specially Cartagena has delicious seafood. How can you tell if its done baking? 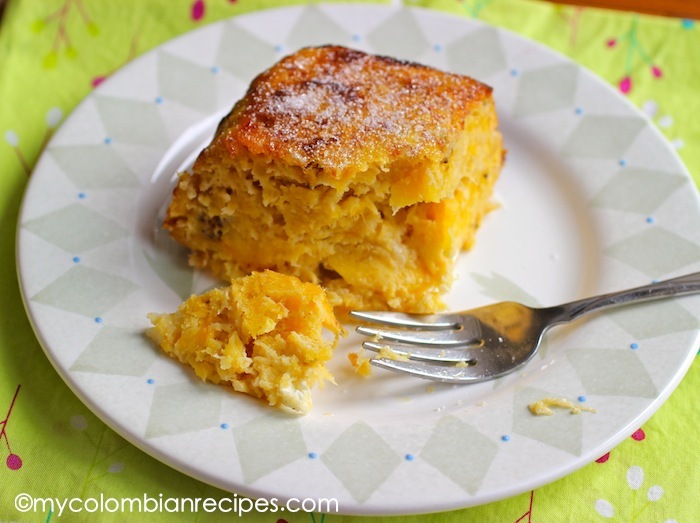 This looked like a delightful use of plantains, but when I made it, it was very bland to me. I guess the word “cheesecake” misled me to think it was a sweet and creamy dish. Ended up adding it to some corned beef and cabbage and everyone loved it! Is mozzarella the traditional cheese for this dish? I’ve got access to Queso Blanco or Fresco, Cotija, etc… I’d love to use what’s most authentic. Is there a substitute for mozzarella if yippy don’t have any? I tried this today only with 3 plantains and 1 egg, also reducing a bit more of the rest but still uses 2 cups of mozzarella. I loved it! It is so nice. Not too sweet and not too savoury either. Thanks for this recipe.